This theme with the images of real life looking beer can't leave your visitors cold. The clean design where the high resolution photos are brought to front looks impressive and drives more viewers to your brewery to taste a glass of iced beer. The minor elements of design like the logo (a mug of beer) are accommodated to the main goal and to turn the visitors into the beer fans, and make them interested in the products of your brewery. The theme was sent to my email within minutes and in less than one hour I have had created a clean and professional site. 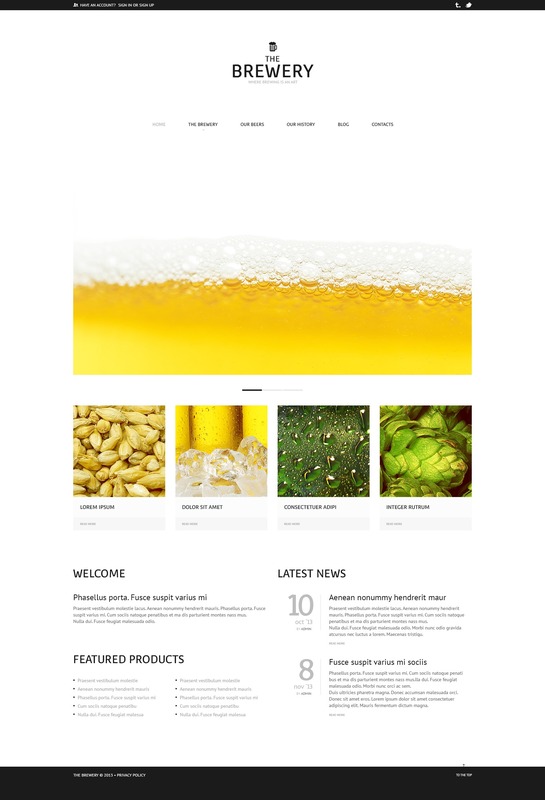 Use this theme for brewery, winery, cafe, and restaurant websites.